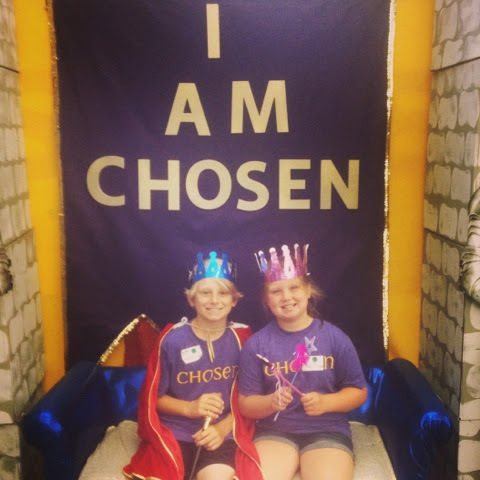 Jackson and Brylee has a great week at VBS at Highlands!!! July is always my month for bunko! 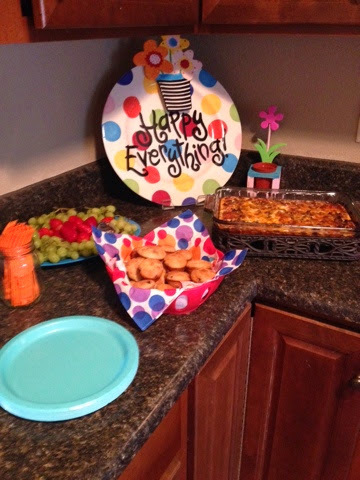 I usually do a 4th of July theme but decided to go with a Breakfast Bunko & we all wore our PJ's! It was a great night even if I did not win! 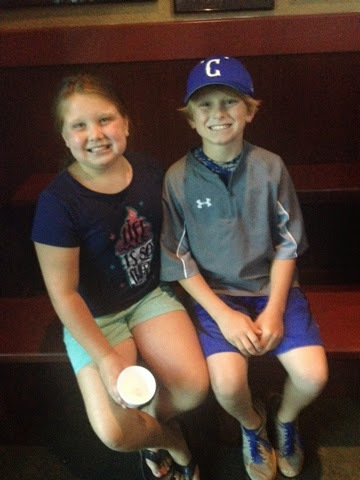 Jackson and Brylee went with Grandaddy to see Graham play baseball in the state tournament and then we met them at Wings for dinner! 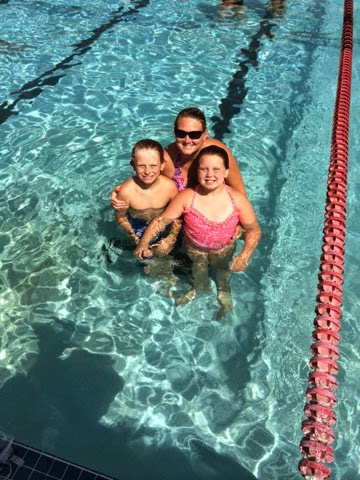 Today was so hot and we went to the Y to swim! I even got in the pool & swam with the kids! They were so excited I got cool mom points for sure! 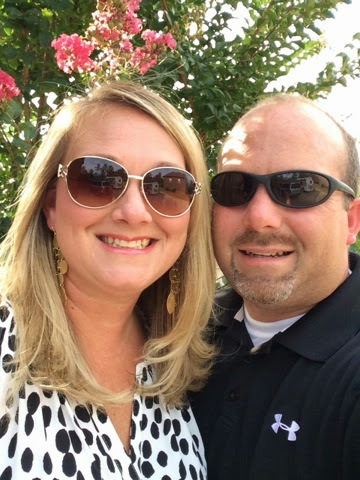 Today we went to dinner at Five to celebrate our anniversary! Their pimiento cheese & jelly appetizer & the white chocolate bread pudding dessert our my two favs at Five! We enjoyed a nice dinner together & shopping for the beach. 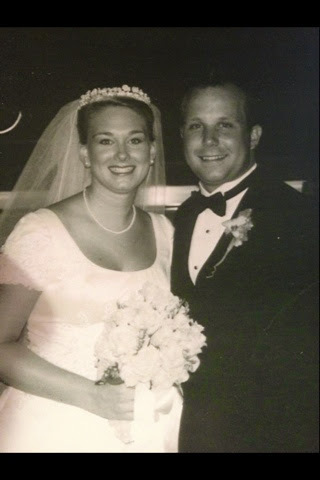 Monday, July 14th: Happy 13 years!!! Today Richard and I celebrated 13 years together! 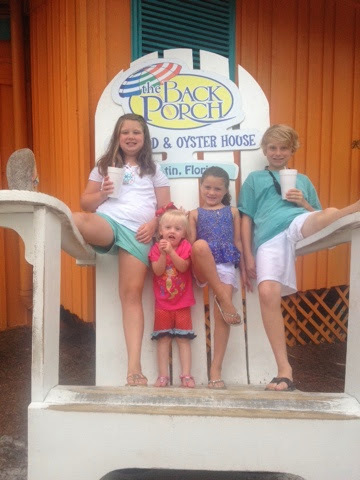 We did great stuff like laundry, packing for the beach, and spending 5 1/2hrs getting my tires rotated & oil changed! Oh the difference 13 years makes! ;) But I would not have it any other way!!! Today was the start of our beach vacation. My friend Brooke's dad has a condo in Destin & she invited us to come spend a week at the beach with her & her family! We left mid morning & got down there around 4:00! After unpacking and getting settled Brylee said she wanted to go put her toes in the sand so we decided to go eat at The Back Porch which is on the beach so we could put our toes in the water & toes in the sand!! !